Lake Havasu City real estate is located in Mohave County, Arizona and is home to 52,527 people. This city began as an Army Air Corps rest camp on the shores of Lake Havasu during World War II. The city was established by Robert P. McCulloch, of McCulloch chainsaws, in 1963 and was a planned community. Lake Havasu City was incorporated in 1978. Lake Havasu homes for sale are often purchased for vacation homes as well as permanent residences. The city is a destination for many who live in cold climates and reside here in the winter months. The International World Jet Ski Final Races are held here and the city hosts many professional fishing tournaments, boat regattas and is home to the Havasu 95 Speedway. The London Bridge is located in Lake Havasu. This is the second-most visited tourist attraction in the state of Arizona. The bridge was purchased from the city of London, disassembled and shipped to Lake Havasu City where it was reassembled in 1971. The bridge crosses a canal that leads from Lake Havasu to Thompson Bay. Residents of Lake Havasu City real estate are served by the Lake Havasu Unified School District. Homes in Lake Havasu City include a variety of single-family residences, waterfront condos and townhouses. 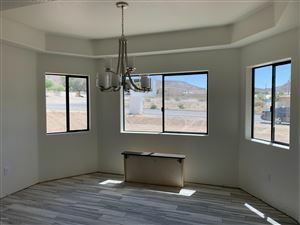 The homes are located within the city as well as several communities in the suburbs of Lake Havasu. The location on the Colorado River in the west central part of the state allows the enjoyment of the Sonoran Desert as well as 400 miles of shoreline. The Mohave Mountains are located only a few miles east of Lake Havasu City. This is an area that has a diverse selection of homes with gorgeous views. Residents enjoy fishing and there are numerous mining towns and mines to the north and east of the city. Those who are interested in geology will enjoy this area as there are a variety of specimens such as volcanic rock, obsidian, geodes, turquoise and agate within a ten-mile radius of the city.